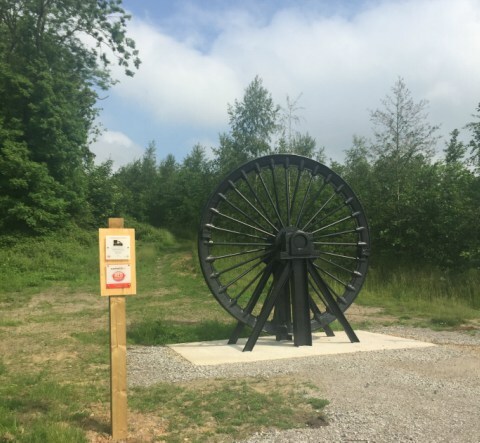 Silverdale's iconic pit wheel has been restored and returned to Silverdale Country Park. Silverdale Country Park was created on the site of Silverdale Colliery which closed in 1998. The transformation was funded by the Government's Homes and Communities Agency (HCA) under their national Coalfields programme. The park is now managed by Groundwork West Midlands on behalf of The Land Trust who own the site. Groundwork West Midlands manage the park for both the local community and wildlife. Visitors to the park are able to enjoy a range of habitats including grassland, woodland, wetland and pools while the highest point of the park offers panoramic views of the surrounding area. The site is also home to a wide variety of wildlife with numerous rare and endangered species in addition to being an important point of rest for migrating birds. The project's central aim was to relocate and restore the giant pit wheel which once stood at the entrance to Silverdale Mine. Weighing around five tonnes and measuring more than three metres in diameter the wheel was rescued by miners when the mine closed in 1998 but had since become neglected. 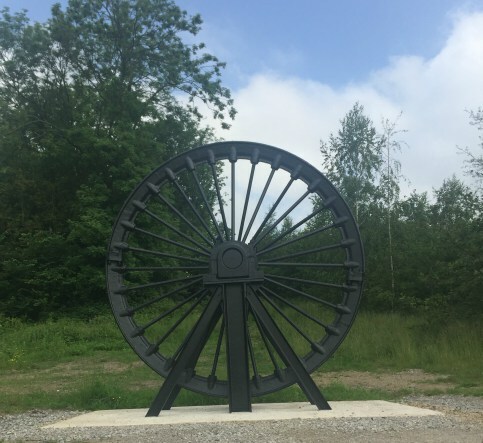 The project gives the wheel back to the local community where it also acts as a tribute to those who once worked at the mine. Following the closure of Silverdale Colliery the pit wheel which once stood at the entrance to the mine was moved to a nearby open space which was subsequently developed as a housing estate. The wheel would once have formed part of the headstock, a machine used to transport men and materials in and out of the tunnels. 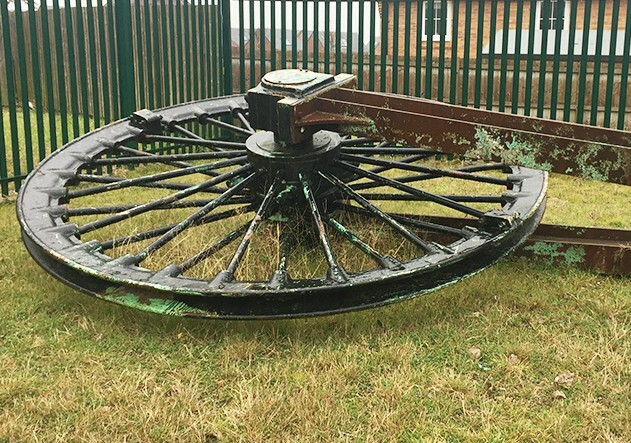 Following a campaign launched by the Parish Council, including much public consultation, a plan was developed to return the wheel to the site of the old colliery, erecting it on a plinth at the entrance to the Country Park. Having been left open to the elements for some time the wheel had suffered extensive rust damage so it was also necessary to restore and repaint the wheel. The project received £12,995 of Landfill Communities Fund (LCF) monies from Red Industries, through Derbyshire Environmental Trust and a further £1,000 from Staffordshire County Council's Local Community Fund and Tesco Bags of Help. 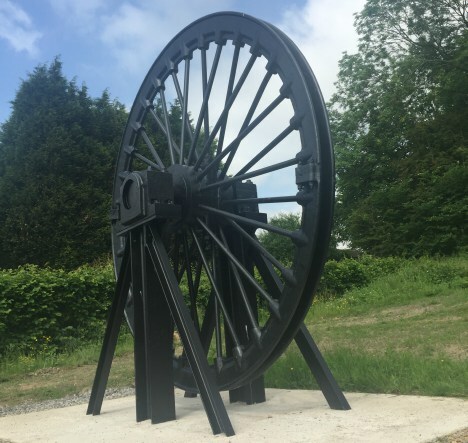 With the project now completed the Silverdale Colliery pit wheel stands as a tribute to those who worked at the colliery and the community around them. Samantha Boden, Group Marketing Manager, Red Industries who funded the project through the Red Industries Landfill Communities Fund says - "There had been demand in the area for a long time to do something to remember miners who lived and worked in the Silverdale Colliery, as well as the families and businesses who supported the industry. The project ticked many of the boxes that we look for when funding projects - including being close to our landfill site, having the support of people in the local area and there being a real demand for the project, and benefiting the local community through a project that can be enjoyed by all. We're really pleased to have been able to support the Silverdale Pit Wheel project."